Bay To Bay Cleaning is a locally owned and operated cleaning business located in Busselton, servicing both private and commercial clients from Geographe Bay to Bunker Bay including Busselton, Dunsborough, Yallingup and beyond in the South West of WA! We pride ourselves on providing an outstanding service that is reliable, efficient and competitively priced. Our fully trained professional team have an exceptional eye for detail, are police cleared, fully insured and are committed to offering amazing results! 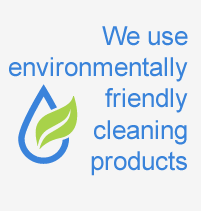 We use environmentally friendly products and equipment that are sure to leave your premises sparkling clean. Contact Bay to Bay Cleaning for a quote or to book your service today! Bay to Bay Cleaning - Cleaning Busselton & The South West W.A! Cleaning Services, Commercial Cleaners, House Cleaning, End of Lease Cleaning & More.